solely on location sound recording for Television, Film and digital media. 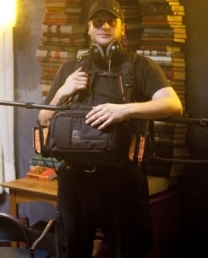 Having years of experience in post production makes David undoubtedly proficient at acquiring the needed audio in the field with a comprehensive understanding of the final product. 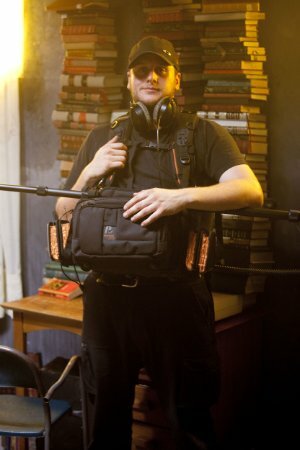 David works mainly with a Zaxcom Nomad 12-track field recorder, as well as fully digital Zaxcom wireless microphone systems. The Zaxcom working environment provides very powerful and flexible tools to handle any recording situation successfully. David also values his collection of microphone that enable him to always choose the best microphone for each specific application. Please refer to David’s equipment list for further details. David always displays a professional, efficient but friendly and easy going approach. David is based in Melbourne however his knowledge of French, Italian and German and general enthusiasm make him an excellent travel companion for any show on the road nationally or internationally. Please do not hesitate to contact me through RMK crew for any additional detail, question or booking information.